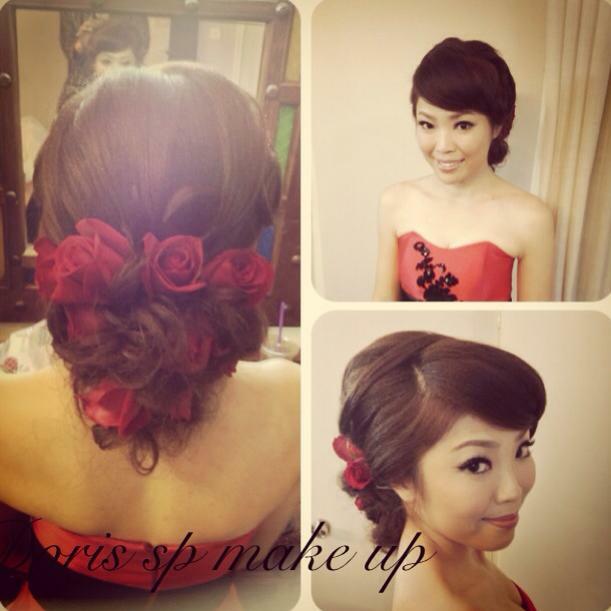 There is an older post about Doris SP: MUA Doris SP Introduction. 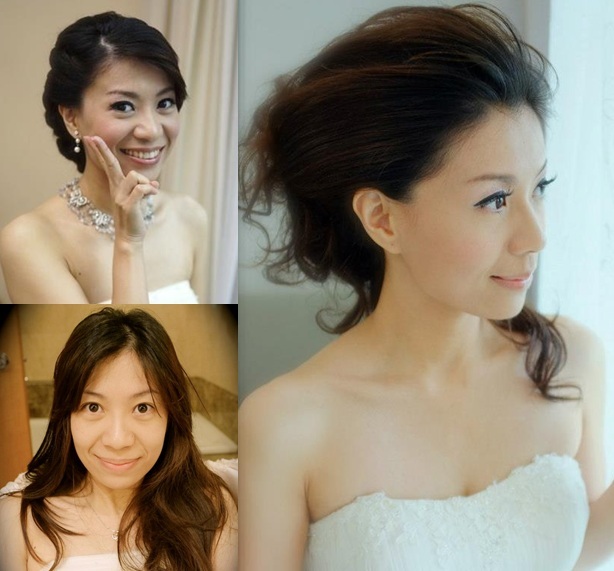 With a wealth of experience and 15 years of expertise in bridal makeup, Doris is capable of creating any styles based on the clients' preference. You will be very pleased with Doris' versatility. She does not stick to a definite or specific style, owing to her creative edge with strong regard to hairstyle, gown design + color matching and skincare. Her naturally glamorous hair styling like the bold big curly updo, creative long hair with loose waves or the side-swept long bangs each carries its own individuality. Love the beautiful eye makeup! Quoting testimonials from clients of Doris on various blog, forum and website, her makeup application is natural and does not look heavy or overly done. Her keen eye for perfection is the reason for her capability in meeting the requirements of the most fussy customer. To bring out the natural and personalized beauty in each bride, every detail counts. Doris' bride loved the eye (and brow) makeup. Her creativity in catering to every customized needs is simply amazing. 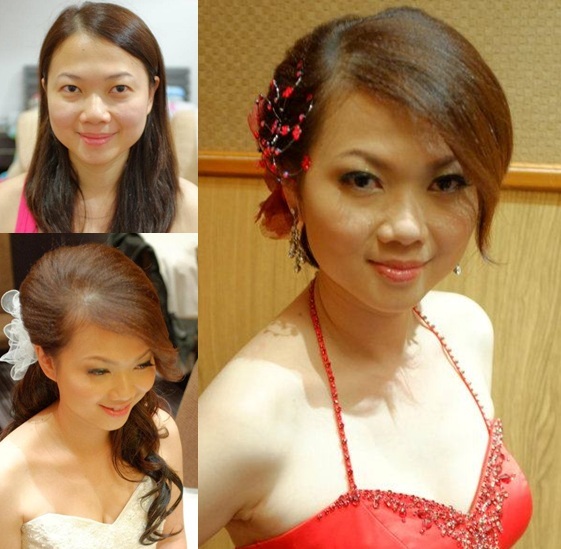 Comparatively she is the more qualified MUA whom you can entrust to transform you into the confident and glowing beauty, perfect for your red-carpet moment. Customer also describes that she is gifted with the magician fingers to produce the outcome that totally fits the request. The oh-so-delightful results that you see on the pictures speak volumes about how talented Doris SP is. The girls look polished in the simplest chignon and matte makeup or the messy chic updo with a vibrant hue. I believe the mystery lies in the technique of resetting fatigue skin to create the luminous and dewy complexion. That is a must-have on the big day and you don't want the powder to cake as the day unfolds. Accompanied by a fierce style for fashion in fitting the right hair, colors and accessories together, Doris delivers the perfect result that completes your special day. The art of transformation: Makeup that resets the fatigue look and adds luminosity. Sleek Chignon or the messy loose waves to impress your guests. 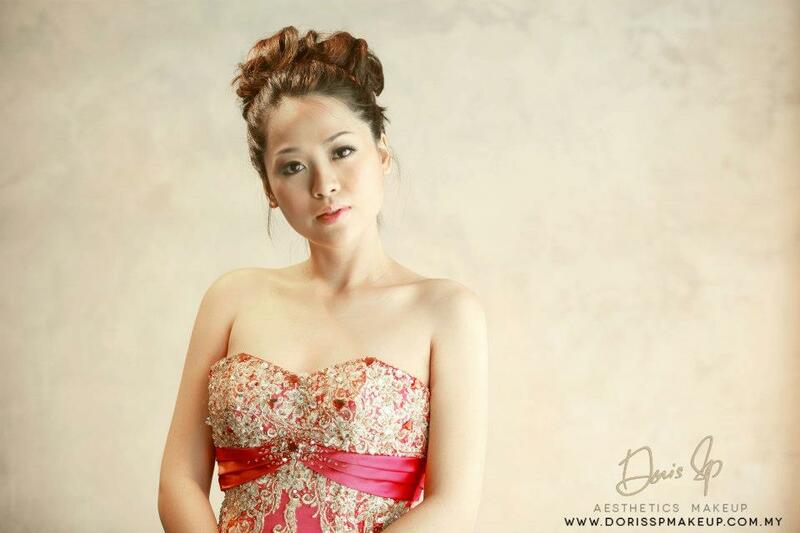 With a highly established portfolio, Doris is completely ready to transform you. The changeover and the beautification process would take you by surprise! So big a difference you may not even recognize yourself, the hidden beauty who has always been there, but unrevealed. How could you not love the overall makeover by Miss Doris which comes with a touch of high fashion. Investing on a trusted makeup artist like Doris SP is the wisest decision to make. "I am glad to introduce my MUA ( Make-Up Artist), Doris for my pre-wedding shoot. I really like her touch as she wouldn't make you looks like Marilyn Monroe or Lady La La ( I don't mine if I do look like Princess Diane..HAHA). She will keep asking if I am okey with this and that or what type of make up or hairdo that I prefer. I do love all the touch-up on me cause I look so natural and not overdone. 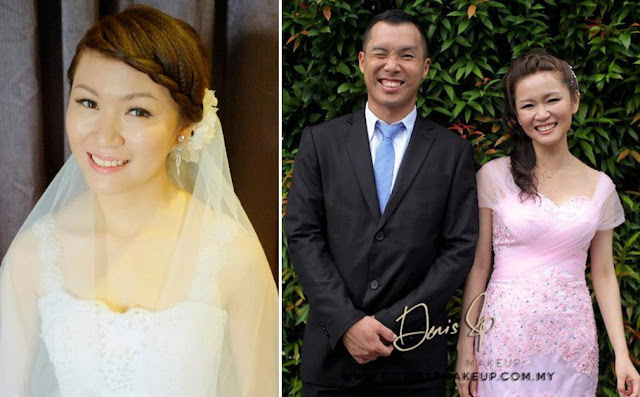 Doris is actually a Taiwanese. 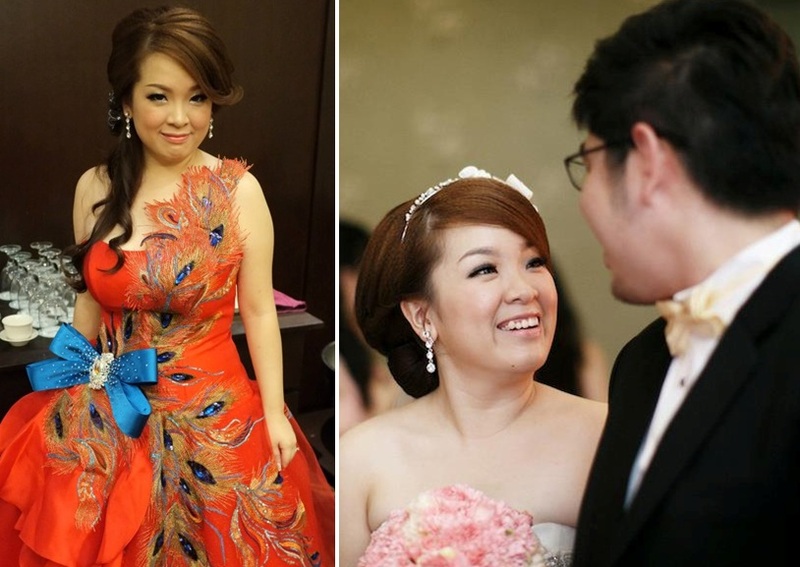 So you might have language gap with her if you totally can't speak mandarin." "what about my MUA? Doris-SP...she's done great on my actual day...highly recommended for all brides-to-be...u gals can visit her website for more information & reference. 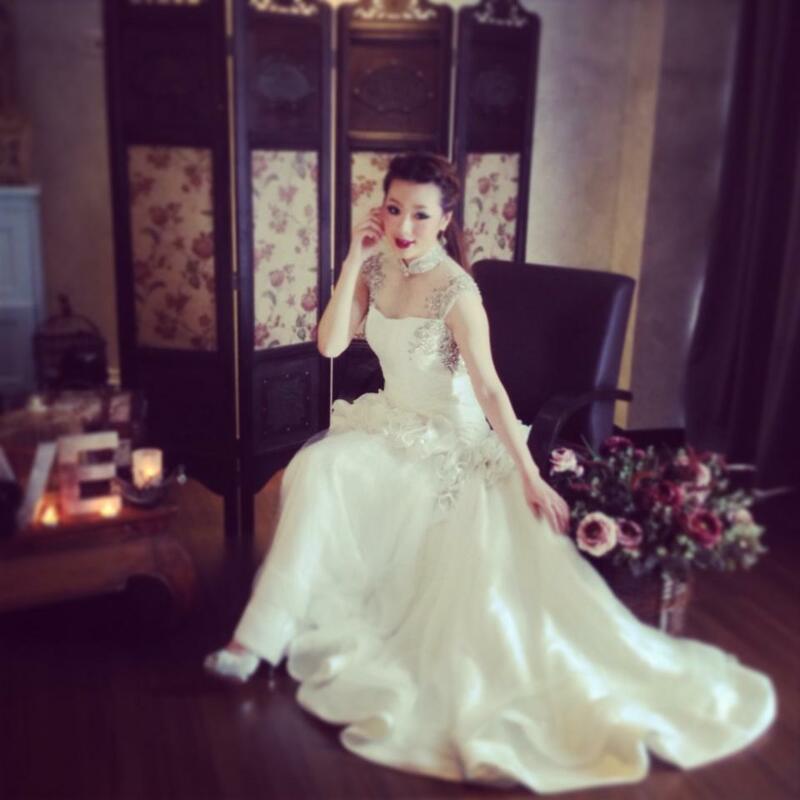 "Every one also hope that herself can be a wonderfull, gorgeous & a pretty bride. Doris SP is the only answer & is your solutions who able to help you fulfill your any requirement. Doris SP, she is just excellent among the others make up artist (M.U.A.) I have do many research for the M.U.A. during the time l'm preparing for my wedding. Maybe I'm a person who are a bit high requirement, many M.U.A. blog, webpages, facebook i have been review but still can't find one who can fit my requirement. Hehehe. Untill i found Doris SP blog, 1st time i view her blog & the 1st feeling to me is like woowww..... she is amazing. Her hand is like a magican can help you to transform, transform & transform. OMG....For sure every one will agree the way u look that day is a pretty & wonderfull bride. I was just like her so much." 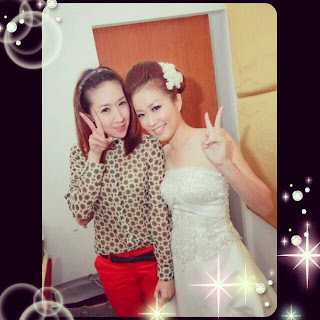 "she was my MUA for my pre wedding photos too..love it till a single bit..especially on my eye brow and eye makeup. She really enhanced my features very well without looking over did..double thumbs up!! Her creativity in hair do really amazed me...really recommended..btw, i heard she already left Monliza and now a full time makeup artist on her own...Anyway ,wish her all the best..highly recommended for the bride to be.."
"Woman looks most pretty on their wedding day. its 100% correct provided that you have a good MUA. I did it with Doris SP. oops.gif Haha, sound like i'm selling Chinese Medicine (膏药）here. Try it only u know. I still remember when i shown Doris's blog to my mom and sis, they were so surprise with all these Before & After looks in her blog."